As a native of San Diego and a resident of Mission Beach, I first became famous for my role as the San Diego State University mascot, Monte Montezuma, for over 13 years. In 2005, I began my career as a real estate consultant. 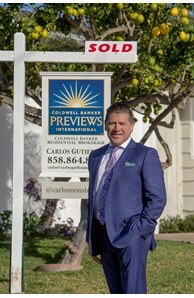 I have worked with clients all over the San Diego area and know how to manage all kinds of properties and people. My skills and work ethic allow me to work with a wide range of clients that include first time home buyers and multi million dollar investors. With an extensive background in marketing and real estate, I continue to deliver an unmatched level of experience, enthusiasm and loyalty to each and every client. - Confer with escrow companies, lenders, home inspectors, and pest control operators to ensure that terms and conditions of purchase agreements are met before closing dates.